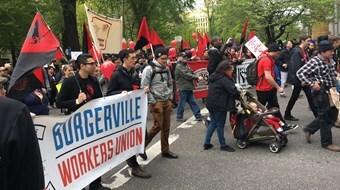 This May Day in Portland, Oregon about 1,500 people rallied and marched against capitalism, racism, and colonialism, including immigrant families, undocumented folks, people with disabilities, and working families with kids. It was International Workers Day, which commemorates the Haymarket affair, which took place in Chicago, in 1886, and is also known as May Day. 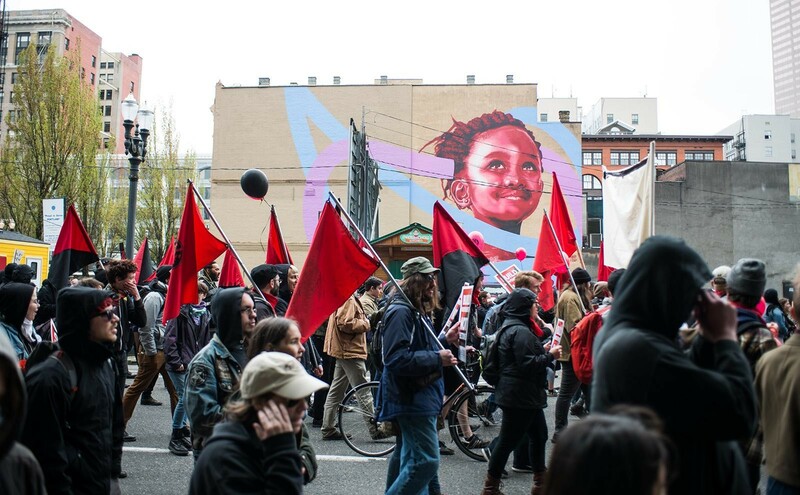 May Day commemorates anarchist organizers murdered by the State for agitating for an eight-hour work day on the way to a truly free society, and is an avowal to continue their work. 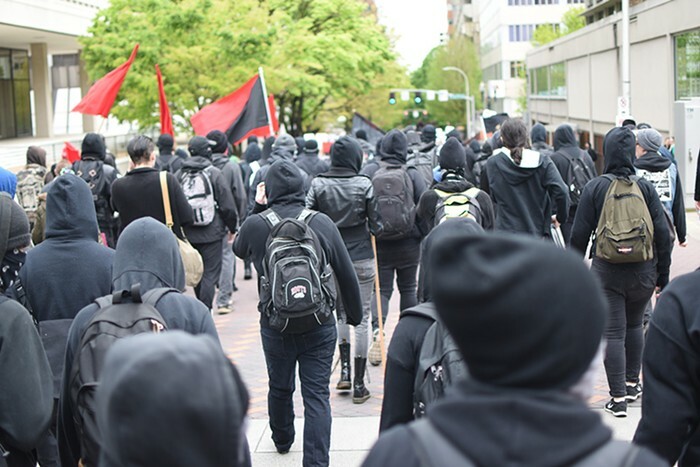 In response to these events, The Oregonian, Oregon’s largest paper, ran a piece by their own editorial board calling anarchists “parasites” and “punk fascists,” blaming them rather than the police for what happened. You can read their piece “Portland Must be Done with Punk Fascists” here. 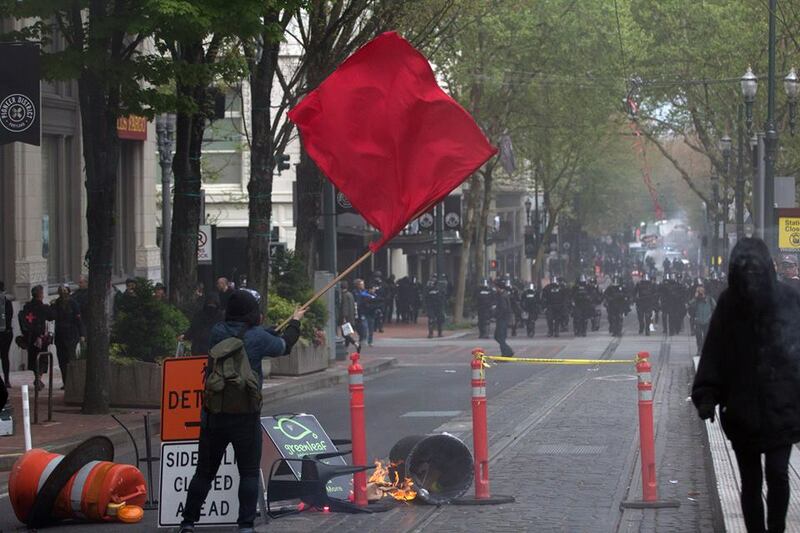 May Day organizers refused to go along with this anti-anarchist agenda, and its divide-and-conquer, “good protestor/bad protestor” strategy, staying focused on condemning the police violence, and not throwing anarchists under the bus, as you can see here. 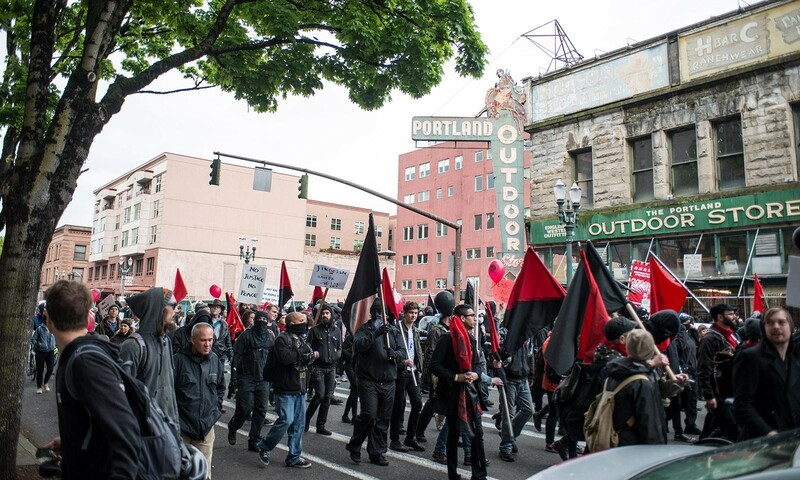 In response to The Oregonian editorial, Paul Messersmith-Glavin, long-time member of the Institute for Anarchist Studies (IAS) and the Perspectives on Anarchist Theory collective who lives in Portland, wrote a letter to the editor, which The Oregonian titled “Here’s What Anarchists Really Want” which you can read here! 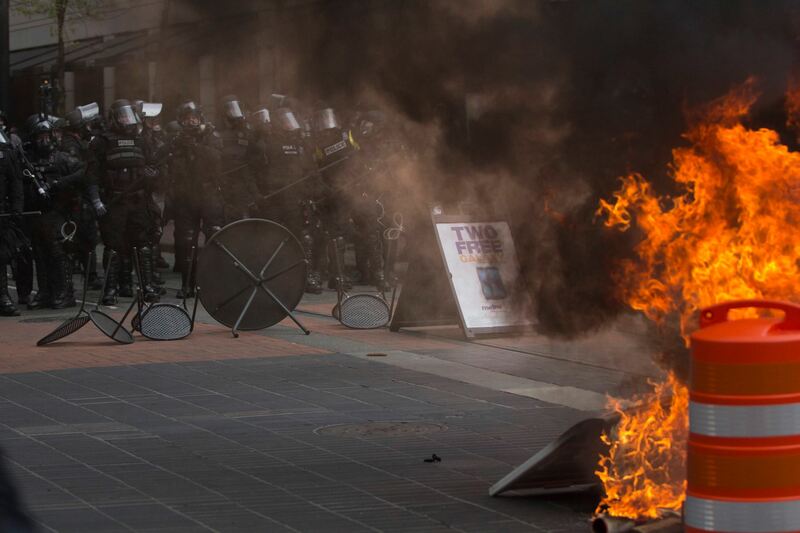 And finally, as a result of his letter, Paul was invited on a local morning radio talk show, where he discussed May Day, what anarchism is, how “raising the social costs” has put a check on imperialist power in the past, the work of the IAS, and other things. You can listen to it here! (it starts at the 1:06:00 mark).